Above is Maris Wicks and my contribution to the supremely talented Mike Allred's oversize hardcover. It celebrates 20 years of Madman, including several pin-ups and one-page stories about the character by a slew of amazing comic creators. 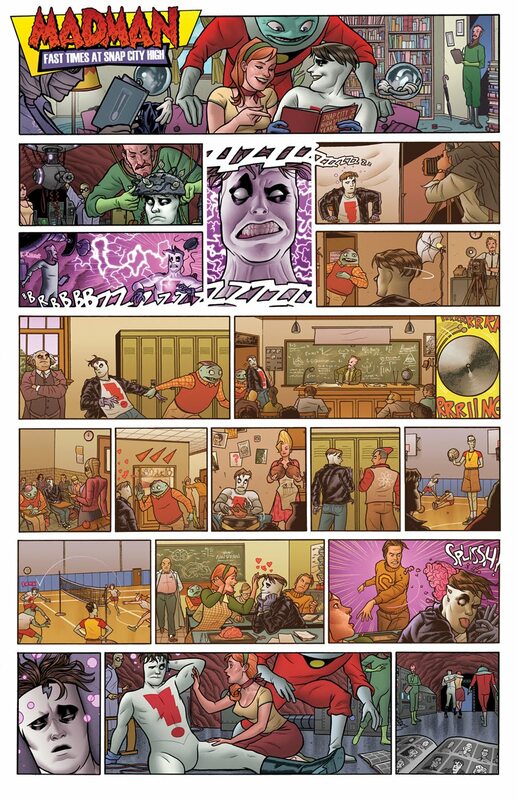 Maris and I were lucky enough to be included in on the fun, with our one-page story, Madman: Fast Times at Snap City High. This marked our first big comics collaboration, with Maris on writing duties, and me on art detail. 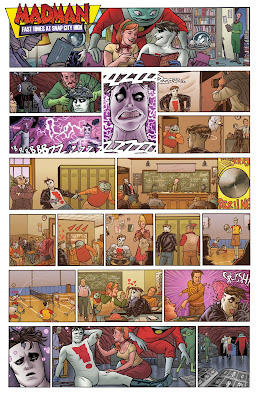 So if you're looking for another grand comics reading experience, be sure to check this one out today for ours and several more Madman pin-ups and comics work by Frank Quitely, Jeff Smith, Paul Pope, the Hernandez brothers, Mike Allred (of course), and more in the Madman 20th Anniversary Monster!